A partnership to develop new drugs for Neglected Tropical Diseases (NTDs) and tuberculosis (TB). Eisai has announced a global agreement with the Broad Institute, a collaborative research facility that includes researchers from Harvard University and the Massachusetts Institute of Technology (MIT), to jointly discover and develop new therapeutic agents for the treatment of neglected tropical diseases (NTDs) and tuberculosis. Under the agreement, Eisai and Broad will collaborate together on drug discovery initiatives toward novel treatments for NTDs and tuberculosis through optimization of compounds screened from Broad's chemical library. The first project will conduct drug discovery research aimed at the creation of a novel treatment for Chagas disease. This first project for the treatment of Chagas disease has also been awarded a grant for partial funding by the Global Health Innovative Technology Fund (GHIT Fund), an international nonprofit organization aimed to advance the research and development of new health technologies from Japan to fight infectious diseases prevalent specifically in the developing world, including HIV/AIDS, malaria, tuberculosis, and neglected tropical diseases (NTDs). Established as a public-private partnership between the Government of Japan, a consortium of pharmaceutical companies (including Eisai), and the Bill & Melinda Gates Foundation, the GHIT Fund facilitates and funds research and development of new health technologies. 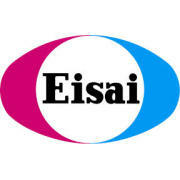 Eisai Co., Ltd. is a Japan-based company mainly engaged in the manufacturing and sale of pharmaceutical products. The Company operates in two business segments. The Pharmaceutical segment is engaged in the research, development, manufacturing and sale of drugs for pharmaceutical, over-the-counter and diagnostic uses. The Others segment manufactures and sells food additives, chemicals and medicine manufacturing equipment. Eisai has 50 subsidiaries and one associated company in the country, as well as in North America, Europe and Asia. Eisai is research-oriented and committed to improving the health of all individuals worldwide regardless of wealth or geography. We give our first thoughts to patients and their families and are committed to help improve the lives of patients and their families – a principle grounded in Eisai's human health care (hhc) philosophy, which has been embedded into our Article of Incorporation and national programs across the globe. We realize this using the Knowledge Creation SECI (Socialization, Externalization, Combination, Internalization) Model*1, emphasizing the importance of socialization. Socialization with patients and understanding their tacit knowledge of pleasure, anger, sadness and joy is an essential part of hhc. We recommend all Eisai employees to spend 1% of their business time in socialization, namely spending time together with the patients. As a company doing business in the healthcare industry Eisai will overcome the limitations of the times and national borders as it makes the efforts required to become an hhc corporation recognized for its unique existence. The realization of hhc calls for timely and accurate decisions and action. At the root of hhc are activities that adhere strictly to legal and ethical standards. Eisai positions compliance —the strict adherence to legal and ethical standards— at the base of its corporate activities, comprising the foundation for its continued existence. The Eisai Group defines its research and development (R&D) activities as “product creation” under the belief that R&D is a cornerstone of our mission to ensure that innovative drugs demonstrated to improve patients' quality of life (QOL) are delivered to patients as early as possible. The Group's R&D organization, Eisai Product Creation Systems (EPCS), strives to create innovative drugs based on an understanding of the emotions and realities of patients in order to effectively address unmet medical needs. EPCS combines venture-like productivity and speed with the knowledge resources of a global pharmaceutical company to establish a system that shortens development timelines so as to contribute to the treatment of diseases for which sufficient treatment does not yet exist and the creation of innovative new drugs that improve the QOL of patients and their caregivers.